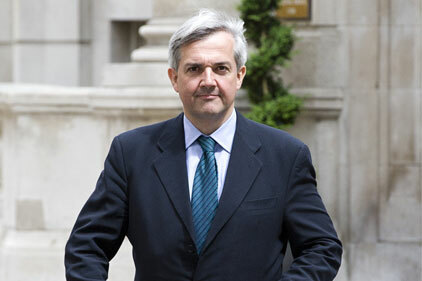 Energy Secretary Chris Huhne has spent the past week fighting allegations that he dodged a driving ban by getting his wife to take the blame for a speeding offence. On Sunday, two newspapers claimed to have details of a damaging taped phone call. More than a week after the story first surfaced in the press, Huhne finally broke his silence to insist that the allegations - which date back to 2003 - were 'simply incorrect'. We've all worked with clients who think the ostrich plan (just stick your head in the sand and it will go away) is the right way to manage a media frenzy. Well, Chris Huhne seems to have taken this one step further. Not head in the sand. Just plain hostile. His body language shouts nothing but resentment that the public might have any interest that a secretary of state may have committed a criminal offence. His public statements border on the Orwellian and he's topped it all by running into the bunker on his climate change policy, making the announcement in a statement and not in Parliament. How different it all could have been if he had given a convincing denial, talked with empathy about this being a private matter at a painful moment with an appeal against a rush to judgement and shown he is getting on with the job.